I have been taking random shots of the Singapore Flyer since day 1 of our trip. Not really excited for the ride, but to test how my fondness to take photos while up there will drive away my fear of heights. We even intended to ride in time for the sunset after our visit to the (Hindu) Sri Mariamman Temple and Buddha Tooth Relic Temple and Museum. However, it rained. We opted to take the night ride instead, thinking that the droplets and moist on the capsule’s glass might affect the shots. A friendly reminder before buying the Singapore Flyer tickets. You can actually get it at a discounted rate when (a) you present your Singapore Airlines (SIA) boarding pass; or (b) when you book through Viator.com. At the time of booking, our SIA boarding pass privilege was outshined by the Viator.com rate. Up there, I have realized soon that I was just scaring myself. For the first few minutes I was just seated-taking photos. But when I saw the kids moving around and other capsule-mates already blocking my way, I immediately vied for the most competitive spot: that is actually to move around in each corner of the capsule. Some of it even have dining tables designed for the patrons who wish to experience a sky dining/signature cocktail flight. Singapore Flyer, being the largest observation wheel in the world (at 165 meters from the ground), is a photograph material. But honestly, the experience being inside it was not that outstanding. Yes, you get to see from up there all of Singapore, including some portions of Malaysia and Indonesia. But being inside the capsule which was moving so slowly – for 30 minutes to be very exact, might bore you to some extent. Other options to see Singapore top-down are to visit the Sands SkyPark of the newly introduced Marina Bay Sands or dine in Equinox Restaurant in Swissotel instead. While Singapore Flyer is overrated, I think that the much cheaper River Cruise is more worthy of the try. The truth is that for several days that we were in Clarke Quay area, only during the last night that we almost forced ourselves to chance on it – just so that we were there, we were always watching those taking the cruise and we have realized that we have not tried it yet. So, we ‘jumped’… and immensely enjoyed it. My most favorite part was whenever the water taxi was traversing under the bridges. I think that I was not alone to have had that mixed emotions with each glance back to the well-lit bridges. 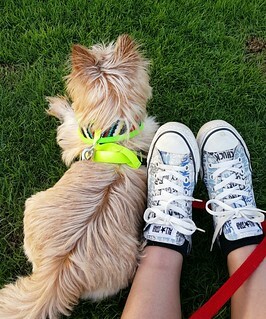 And the weather was cooperating. 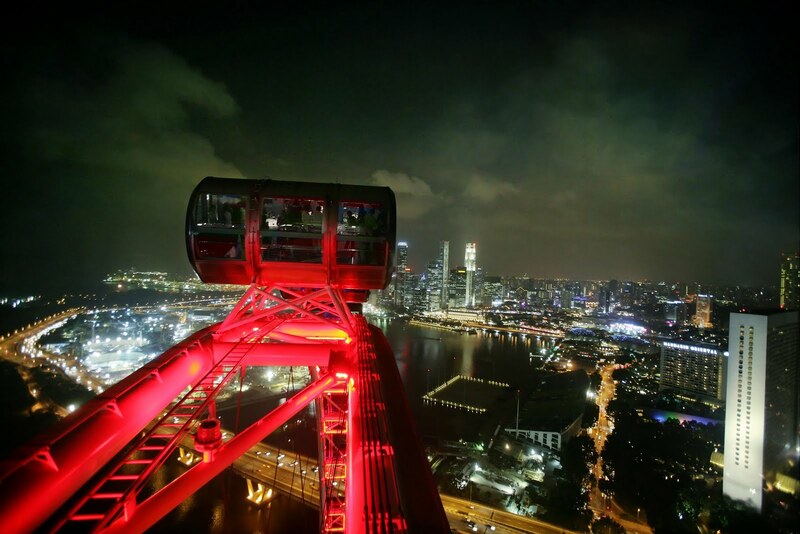 On that windy night, we have fully appreciated the sightseeing of the Merlion, Singapore Flyer, Marina Bay Sands, museums, Stamford Raffles’ (founder of Singapore) monument, brave people trying the GMAX and reverse bungee jumping, and more. Note: Except for the second and third to the last photo, the rest were a result of a point and shoot (P & S) camera. My shoulders ached badly that night after taking too many photos in Chinatown and in the temples using the SLR camera. How I wish that it (plus the lenses) is light even though bulky. Thanks to the dependanble P & S cameras. Such fun and adventure, felt like you were children ano? wow mukang hindi nakakatakot at madami kang shot since mabagal yung ikot. pero oo nga mukang mabo-bore ka sa tagal lang ng kikot. love your shots. congrats on conquering your fear and enjoying the nice night shots! uhmmm…what an adventure! nice shots. it’s gorgeous! my college best friend is doing graduate studies in NUSG and she’s been asking us to come visit. Inshallah pag may pera. Those are beautiful night shots. I’m breathless. I can’t do those on my SLR. I never figured out the settings. lahat ng photos ko hit-and-miss. Did you say that you still don’t own a tri-pod? amazing photography skill! Yes, until now I don’t have a tripod. And would you believe that most of the photos in this post were a product of a point and shoot camera? I was so lazy to use my SLR that night. Shoulder ached from too much photo taking in Chinatown and the temples using the SLR (with the heavy lenses). I did like the cruise of the river too, very exotic I thought. your singapore series is really inviting! i think mas nakakaenjoy nga yung river ride. naiimagine ko na nga yung dadaan sa ilalim ng bridge. =) i like best your third to the last pix! ganda ng gabing kuha mo wits…nagkaron ng kulay ang paligid…napatitig ako ng husto sa mga picture! i like the 7th photo the most. this was something that i didnt try when i was there coz i chose the singapore boat cruise.